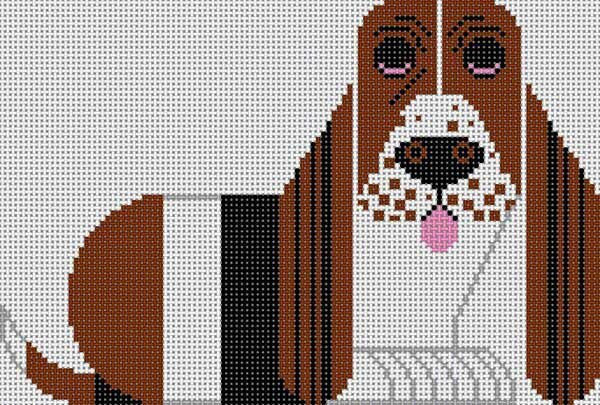 The life-like yet abstract Basset Hound needlepoint design is hand painted onto 13 mesh Mono Zweigart needlepoint canvas. The design is stitch-painted which makes it easy to needlepoint. The needlepoint design area measures 6" x 8.5". Basset Hound handpainted Charley Harper needlepoint canvas usually ships in a few days. You can always check availability before you order.